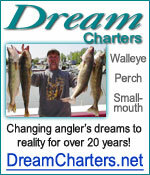 Lake Erie Charter Businesses & Captains Join TODAY! To add your charters service to our website call us toll free 866-941-2976 or use the Contact Us form. Charter Sponors must be a U.S.C.G. licensed. You pay for the visitors clicks from our website to yours based on the fee schedule below*. Banner advertising is available to any business! 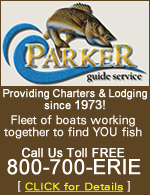 Google currently charges between $1.15 & $1.55 for a top page search listing for the phrase Lake Erie charters, we provide top listings for our website which allows you to share in that top listing at a fraction of the cost and ONLY if a visitor clicks from our website to yours!!!! We take the financial risk, you only pay for what we have provided to you directly. * An annual sponsorship fee of $69 is required. Sponsors must maintain a minimum $25 click fund balance by either a credit card on file or monthly payment by check. we can help with that as well. * Website packages are in addition to any listing fees.